Jump Rope for Heart Wrapping Up! We are wrapping up Jump Rope For Heart with the American Heart Association. Thank you so much for hel ping our campus stay heart healthy and save lives at the same time! 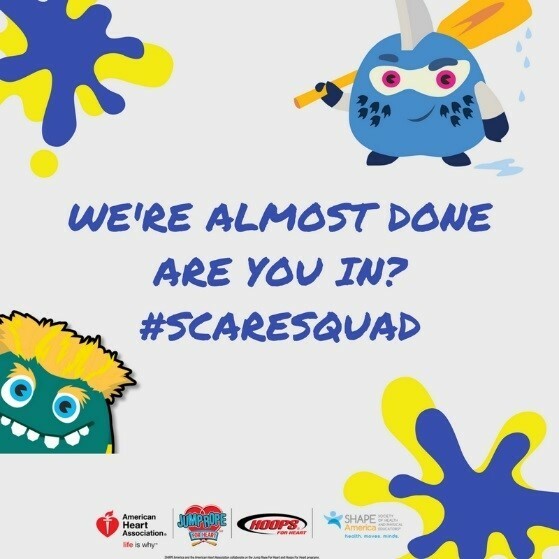 If you haven't had a chance to join the squad there's still a little time left to earn the #ScareSquad monsters. Sign up now at www.heart.org/Jump or download the Jump/Hoops App (App Store for iPhone or Google Play for Android).